Welcome to the Corvettes International Home page. We are celebrating 50 years of serving our community. We meet on the first Tuesday of every month (7:00pm) at Wild Wings Cafe Located at 7900 Brier Creek Parkway, Raleigh, NC. Come early (6:00PM) and join us for some good food and good fellowship. Click on the icon at the right for directions. The club focuses on having fun on road trips, attending car shows and social events. We provide our membership an opportunity to meet with other Corvette owners and share car care information and experiences. Our club encourages the preservation, ownership and use of Corvettes and is open to all who share the same enthusiasm for the only true American sports car, the Corvette! 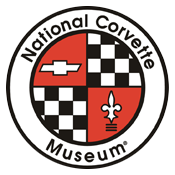 Corvettes International hosts two car shows every year with proceeds donated to charity and participates in many National Council of Corvette Clubs (NCCC) sanctioned/non-sanctioned car shows throughout the Carolinas. (See the calendar for upcoming events).